Maradhi Manni: The Whole World Is Admiring Our Cricket Champions Now, Esp. Tendulkar! The Whole World Is Admiring Our Cricket Champions Now, Esp. Tendulkar! I was just wondering whether to write about/be happy about, our winning of World Cup Cricket Match '11 or become selfish and write about my sky rocketing statistics just for one post about the Tendulkars! I became the second one...thank you, Tendulkars! The above page views are for the past week. 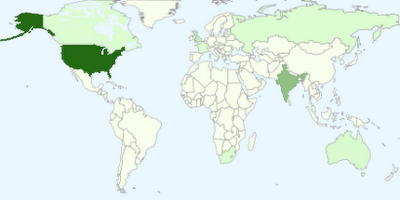 I used to have just 2 or sometimes 3 digit views per day and mostly from India. Now the picture has changed and I know it will be for a few more days! Still, I am happy! I 'copy-pasted' the statistics, so it is a bit distorted, sorry! My husband and son are crazy about cricket and now cricket is transmitted in the TV in some channel everyday and I don't watch much cricket...overdoze! But even I watched the matches between India-Pakistan and India-Sri Lanka! Both were thrillers, thanks to these boys! Bless you, BOYS! "He(Dhoni) is the best captain I have played under", Tendulkar said in Mumbai. "He is very sharp and always alert. He reads the situation well and is open to sharing ideas. He always has discussions with bowlers, batsmen and senior players separately". Bharat Ratna for Sachin Tendulkar: Arguments for and against! This photo of Sachin in the Outlook magazine shows his true self...yes, he is one of India's greatest personalities! Very down to earth person! I love the game and watched every single match. The cricketers did everything possible to win the Cup and it was such a glorious feeling.I felt so proud to see the team win the trophy. It was unbelievable! 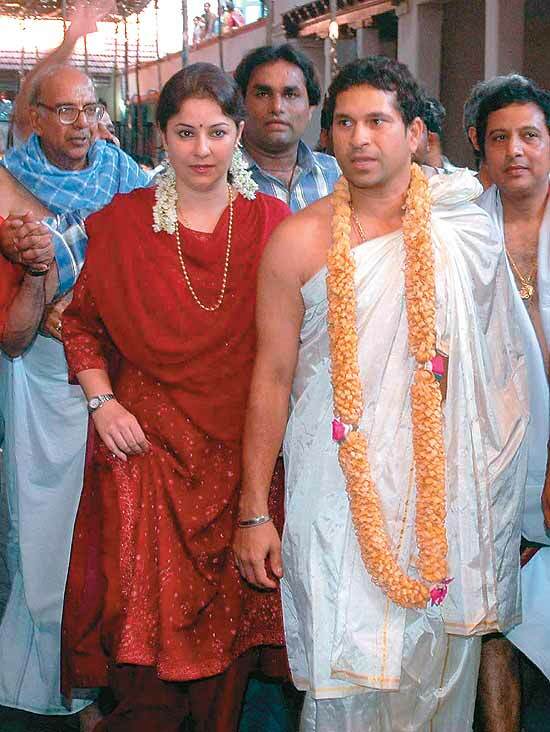 I admire Sachin for his ethical behaviour too. Saw the interview in NDTV - so nice to hear him answer questions with such smile and grace....loved it. I have always been a fan of sachin he was the one who got Hit by a Waqar or Wasim akrams Ball But didnot FLINCH and he was mere 16 then .. a little later the ball went for a FOUR..
Playes the Gentleman's Game like a Gentleman .. HAts off to him .. almsot 38 years old and Still worlds BEST who can beat that ..
We are the champions for sure ..
varunavis: I started looking at the stats just recently, my son told me about it! I had seen it in some bloggers pages but didn't know if I had that facility. The pageviews were in 2 digits always and very few times it came to 103-108 etc.! Now, after the world cup started, I think, the viewership for Anjali, started going up! Now, it is coming down slowly! 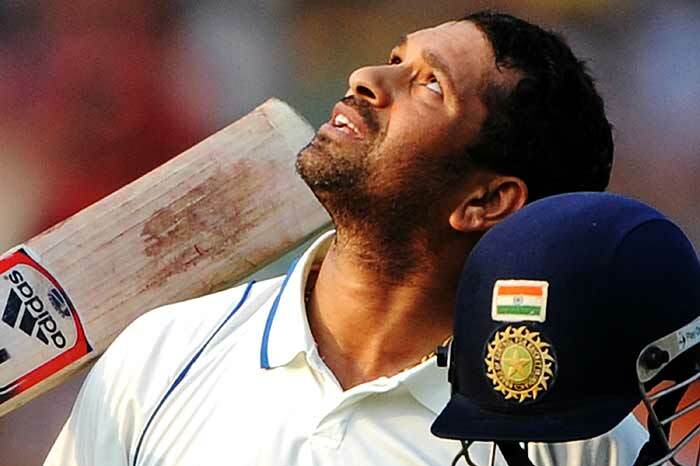 Sachin is our family's favourite cricketeer and idol. Destinatiion Infinity: I used to watch the match, at least the second innings throughout, for many years. Now, it is a bit boring, but this is important, so I finished cooking early and sat in front of the TV with my husband and son and cheered our team! What you said is right, I am becoming a young maami or young paatti?! Aparna: Yes, everybody did their best sincerely! It was like a thriller, Aparna! Felt proud about everyone! It was a proud moment, standing for our national anthem at the beginning of the match too! We hear our national anthem very rarely, nowadays. The Sri Lankan national anthem has got words like 'namoh namoh maata', Buddhist influence?! Renu: Yes, he is a 'too good to believe' person. Manju: Yes, Manju, I know! Did you notice, most viewers were from Western countries! They are more fascinated by him and his family! Now, pageviews are coming down!! Swaram: That was a good interview, isn't it, Swaram? His interview in NDTV also was very good. UmaS: The bloghits have started coming down! But it was fun watching them sky-rocketing suddenly! Here, my husband and son and I too, are great fans of Sachin! Even after so many years of fame, he is still the same boyish natured innocent man...he is going to be like that always. He never uses words to hurt anyone, as far as I know. Very rarely, we meet people like him. Bikram: Yes, people used to say that Sachin is the team. If he didn't play well, that match was gone case! He never hurts anyone, never give negative comments about anyone. He is a true example of 'man with good manners'. I too watched the last two matches and read the comments in the twitter by you and other friends, which were very interesting! sandhya ji...thanks for rememmbering..sorry boss..running around for daughter school admission..hence am cut off 4 now..hope to be normal this week..god willing..tc..
R.Ramesh: All the best, Ramesh! Enjoy family responsibilities! kanagu: Yes, he is a true legend and hero worship character, Kanagu! Now I Know How And Why We Get Tempted To Bribe!